The Human Rights Commission of Sri Lanka (HRCSL) has obtained statements from prisoners on the alleged assault on them at the Angunakolapalessa Closed Prison on November 22, 2018. 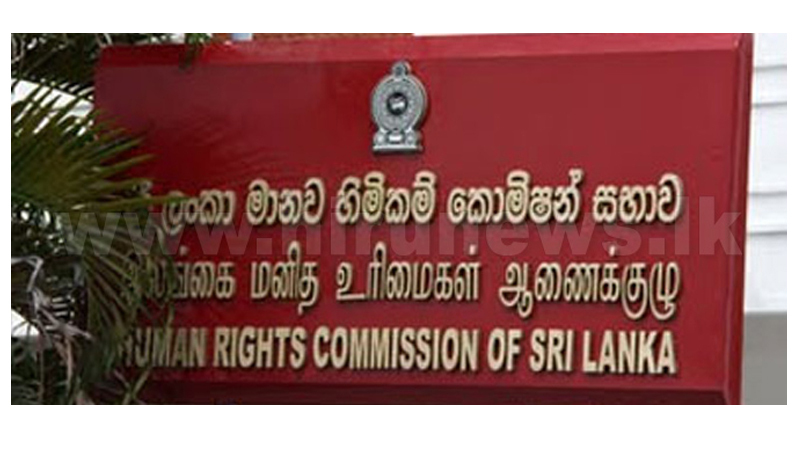 The HRCSL issuing a press statement on the incident said that it summoned the Commissioner-General of Prisons and the Superintendent of Angunakolapalessa Prison for inquiries in early December last year. “During these inquiries, the Commission reiterated the need to adhere to the Constitutional provisions on freedom from torture and pointed to the Convention Against Torture Act No 22 of 1994, which criminalizes torture. Inquiries are on-going and the Commission expects to issue its recommendations soon,” the statement said. Meanwhile, the ‘Committee for Protecting Rights of Prisoners’ yesterday complained to the Human Rights Commission of Sri Lanka (HRCSL) the alleged assault on the prisoners at the Angunakolapelessa Prison on November 22 last year. Committee Secretary Sudesh Nandimal Silva told the Daily News that all the CDs containing video of the incident were handed over to the Commission along with a written complaint.He also expressed his displeasure over the comments by Justice and Prison Reforms Minister Thalatha Athukorala at a press conference on Thursday, alleging that she was trying to suppress the incident to protect the wrongdoers. After submitting the complaint to the Human Rights Commission of Sri Lanka, a demonstration was held near the premises in protest of the Justice Minister’s reactions to the incident. CCTV footage from the newly constructed Angunakolapelessa Prison released by the Committee for Protecting Prisoners’ Rights showed how unarmed prisoners were allegedly assaulted by the Police within the prison complex on November 22 during the political coup. The leaked CCTV footage made the rounds in the social media. A tri-member Committee headed by Prisons Commissioner (Administration/ Intelligence and Security Division) Thushara Upuldeniya was appointed to conduct the special inquiry into the incident and the report is due on Monday.